Everyone is looking to save a little money these days and with hectic school schedules and extracurricular activities sometimes it's easier just to take the family out. But taking the family out doesn't mean you have to spend a fortune. 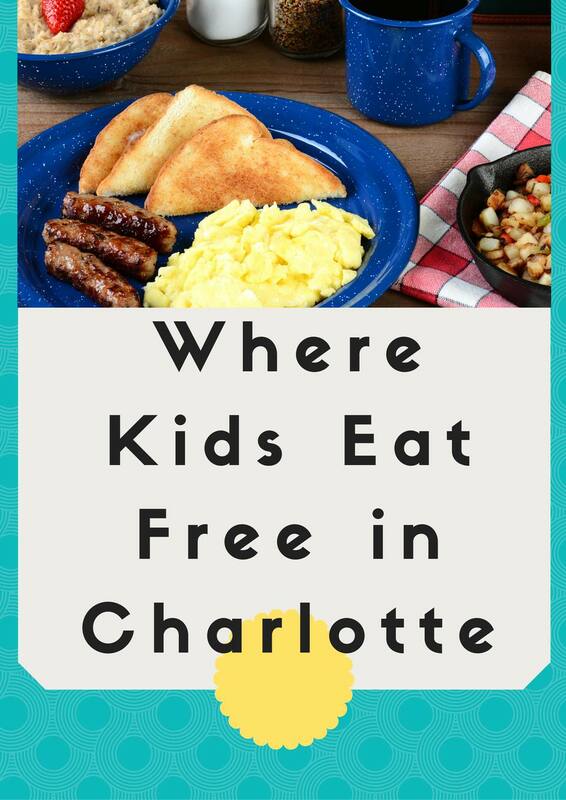 Charlotte has dozens of restaurants that offer free (or very cheap) food for kids on every single night of the week, from Monday through Friday and on the weekends. Some are two kid's meals per adult meal, some are one per adult, and almost all of these are for dine-in only and do require an adult meal purchase. A few cities just outside of Charlotte are included, but if the city isn't named, the address is in Charlotte. Generally, it is always best to call the restaurant ahead of time and verify before you pack the kids in the car. Restaurants are constantly coming and going, and promotions are changing, so this list is updated as often as possible. 2700 W. Mallard Creek Church Rd. Kids eat free after 5 p.m.
Purchase an adult meal with a drink, get one free kids meal (drink not included). You must mention the promotion to get special pricing. One free kid's meal per adult entree purchase after 4 p.m.